Schedule your next consultation with Dr. Schwartz. A certified contact lens specialist. Our practice has been providing treatment for keratoconus for well over a decade. We’ve combined excellence, knowledge, personal care, and commitment to become a leader in specialty contact lens services. I had laser eye surgery….and my doctor messed up my eyes I was almost blind I went to so many doctors but none of them were able to solve my problem but Dr Schwartz figure it out and now I am able to see the world.He is the best. – Pragna P.
Great staff, very pleasant and helpful.. Dr. Schwartz is the best.. very professional and will take his time to explain everything .. he did the fitting for my scleral lenses and they were just perfect.. I am soooooo glad that I found this place! – Taimoor A. Our Keratoconus Doctor | How Do We Treat Keratoconus? This procedure, while performed by an ophthalmologist, is best co-managed by a certified contact lens & cornea specialist like Dr. Schwartz to help guide you through the process as well as how to establish clear vision post-surgery. Patients often continue to utilize specialty contact lenses like scleral lenses post corneal crosslinking. Looking for Corneal Crosslinking in Baltimore, Maryland? Consult with Dr. Schwartz to get guidance, care, and understanding. For a keratoconus eye doctor & contact lens specialist near Baltimore, Maryland, visit Dr. Schwartz. 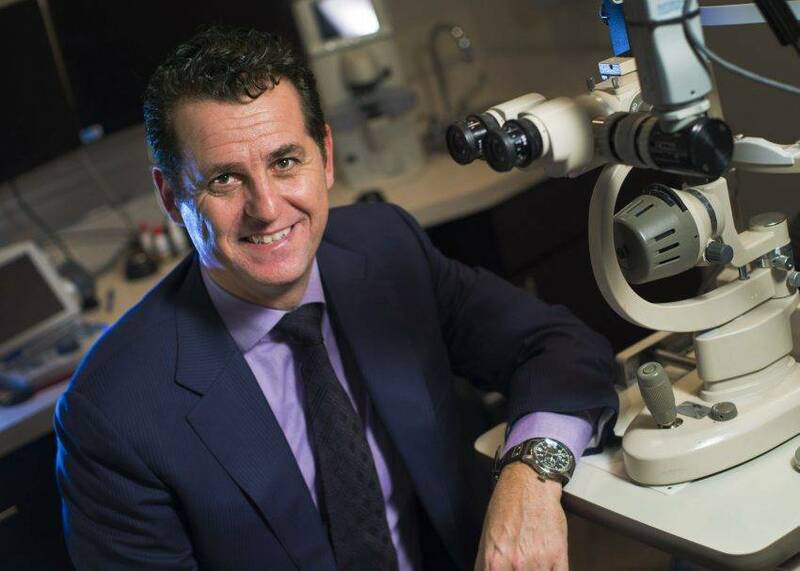 The leading, local expert in fitting custom scleral lenses. Cornea Transplants, whether a partial or full transplant, require a highly intricate and delicate procedure. While the surgeon may solve major eye diseases or conditions through a cornea transplant, many patients often face difficulty seeing clearly or comfortable regardless. Haloes, floaters, dizziness, and sensitivity to glare are commonly associated when one has an unhealthy, diseased cornea. Dr. Schwartz is a contact lens and cornea specialist, where his sole specialty is to help patients after a post cornea graft to reach amazing visual acuity. Struggling with your cornea transplant? Whether you're having minor or advanced visual problems, schedule a consultation with our cornea specialist near Baltimore, Maryland, Dr. Schwartz.